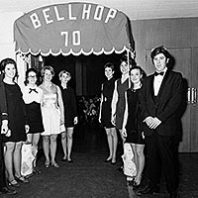 A look back at the WSU Bell Hop, run by the hospitality students in the past. 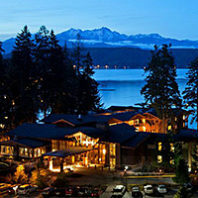 WSU hospitality alumnus Brian McGinnis '77 talks about the history and renovation of the 100-year-old Alderbrook Resort and Spa in western Washington. He is kidding, kind of, playing on the concept of the popular business book Management by Walking Around. 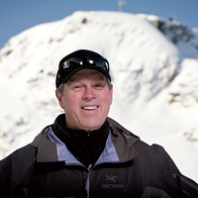 But the senior vice president of operations for the Whistler Blackcomb Ski Resort is serious about the skiing. Being part of something as elegant and historical as the Davenport Hotel in downtown Spokane adds extra excitement to Lynnelle Hull Caudill’s workplace. She joined the Davenport in October 2001 during the landmark hotel’s $30 million, two-year renovation. In April she became director of operations. At Fourth and Virginia in Seattle, where Belltown meets downtown a few blocks from Pike Place Market, a trendy restaurant and residential district meets up with the city’s retail center. 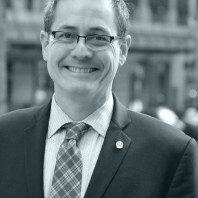 It’s here that hotelier Craig Schafer ’76 has made his mark. One day in the late 1920s, hoteliers Severt W. Thurston and Frank Dupar met by chance in a coffee shop in Yakima, Washington. Unbeknownst to one another, each had gone to Yakima to make separate hotel deals. But by the time they parted company that day, the two had decided to go into business together. In 1930 they joined with the Schmidt Brothers, who had hotels in Olympia, Seattle, and Bellingham, to form Western Hotels Inc., the foundation of what would become the Westin hotel chain.